Heart of a Bird is an intimate collaboration between two kindred spirits, pianist/harpist Iro Haarla and bassist Ulf Krokfors. The music represents free improvisation within a compositional framework. The duo shares with the listener a beautiful, intense musical conversation, which reflects their own private feelings. On four tracks, the duo is joined by saxophonist Rasmus Korsström, adding another voice to the duo´s intimate sound. 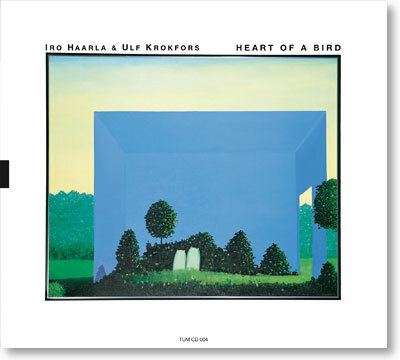 Heart of a Bird was composed in equal shares by Haarla and Krokfors. In addition to their own compositions, the duo performs its own unique take on Antti Hytti´s "Solveig´s song", a composition also recorded by the ensemble Suhkan Uhka on Suhka (TUM CD 001).